Please take a moment to familiarize yourself with our Community Rules. These rules apply to the entire KeepCalmandCoupon.com website. 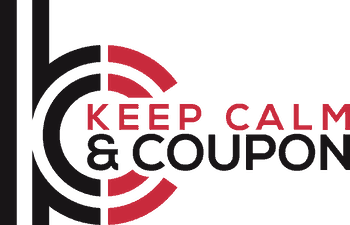 When you register an account at KeepCalmandCoupon.com, you are agreeing that you have read and will abide by the "Community Rules." Please let us know if you have any questions! 1. Contribute to the site. Since this is a deal related site, the more members who contribute, the better the site becomes for everyone. We also rely on members to let us know when they experience an issue with the site, such as a broken link, etc. 2. Ask and answer questions. At KeepCalmandCoupon.com, there is no such thing as a stupid question. We have a wonderful community who are willing to help one another. Please return the favor when you know the answer to another member's question or can point them in the right direction. 3. Read the sticky posts. Important information about a forum can be found in threads that are "pinned" so that they remain at the top of the forum. "Stickies" will usually answer the most frequently asked questions. If you still have questions, we are happy to help. Just let us know by posting in the forum. 4. Be kind and thankful. It is just a fact of life that sometimes people or posts may rub you the wrong way. Even if we do not see eye to eye with someone, we can still maintain respect and not lash out. Most times it is best to apply the old adage, "If you don't have anything nice to say, don't say anything at all." A little thanks goes a long way too. If you enjoy a post or it has helped you in some way, let the original poster know. Members who feel appreciated will be more inclined to continue to share. 5. Follow the Community Rules. Do you best to follow the Community Rules. Our goal is to provide a place to share legitimate deals and offers. On of the best things about this community is the opportunity to make lasting and meaningful online friendships. Put yourself out there! 7. Use great thread titles. When posting, try to use descriptive titles to attract members to your content. Try to avoid vague titles like, "I have a question?" Be specific. An example of a better title is "How do I become a trader?" You should also avoid abbreviations and acronyms which new members may not understand. 8. Make your posts readable. Large blocks of run-on text without breaks is off putting to many people, and they just skip reading it. Make use of punctuation and line breaks to attract more readers. 9. Be a good trader. If you are here to trade, be a good trader. Try to answer messages regarding trades in a timely manner. Don't leave people hanging...let them know if you have already traded your item(s). Mail your trades promptly, in case the other member needs what you are sending for a sale. Be fair and honest by understanding we are all here to save money. Finally, leave appropriate feedback. This helps other traders learn who are reliable traders and who is not. Saving money is fun, and it is even better when loads of like-minded people get together and share their know how! "Take a Deep breath and save!"